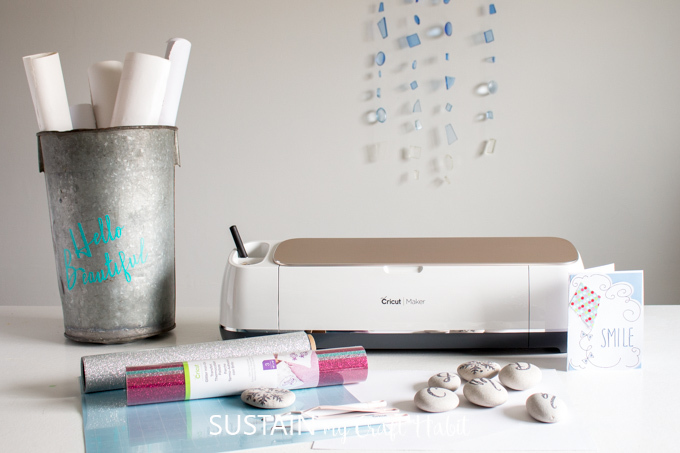 When our Cricut Maker first arrived, we felt like kids must feel on Christmas morning! We couldn’t wait to rip open the box and get started. But we patiently agreed to wait until both Jane and I were together so we quickly set a “create with Cricut date”. And although we were excited to learn all the possibilities, we were worried we’d quickly feel overwhelmed. 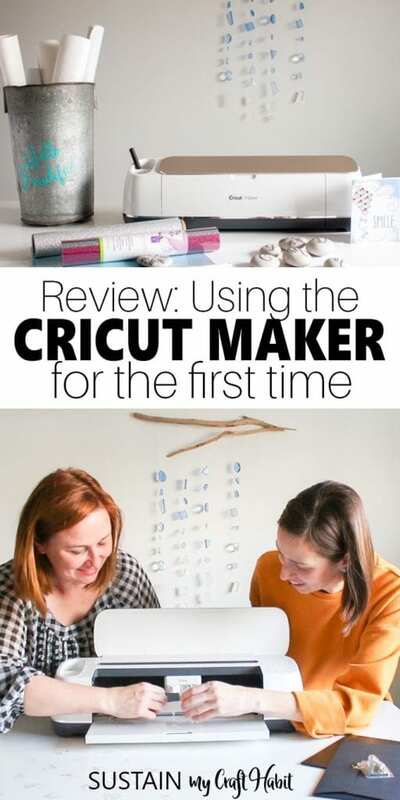 Here’s our experience with using the Cricut Maker, “the ultimate smart cutting machine” for the first time. Disclosure: This post is sponsored by Cricut. All opinions are our own. Also this post contains affiliate links – should you choose to purchase through these links we make a small commission at no cost to you. Read our full disclosure statement here. It has been a dream of ours to get a Cricut for years, so we are so grateful to have received the Cricut Maker. You can check out our reactions as we unboxed the Cricut Maker and made our very first project together, an adorable Cricut cut paper and fabric greeting card. First thoughts: Cricut really couldn’t make it any easier to use! Just by heading to www.cricut.com/setup, we were well on our way to using and understanding the machine. It’s all connected digitally so it was really a matter of following a set of step by step instructions like “click here” and “press there” to get through the first project. 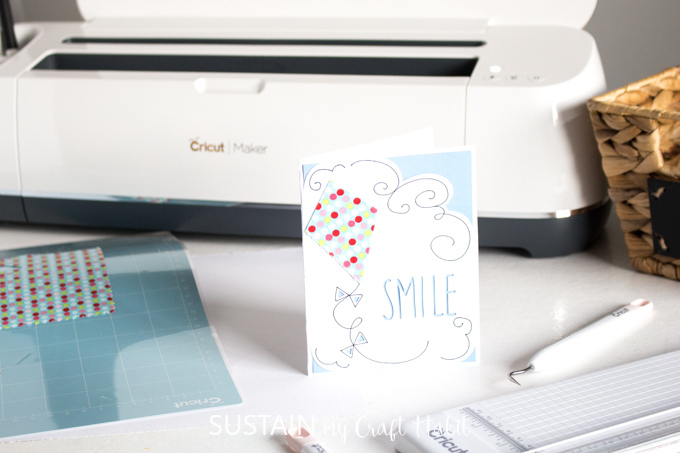 Cricut Maker Review from Cricut Machine Newbies! 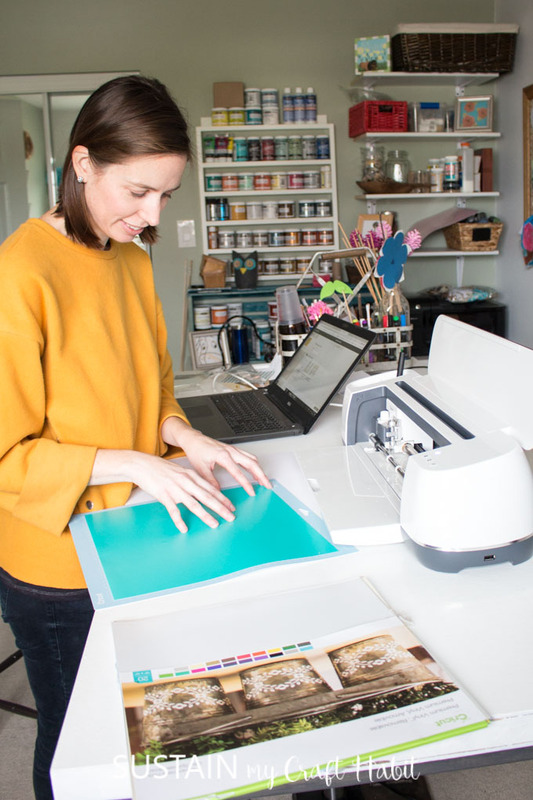 The Cricut Maker cuts a wide range of materials such as vinyl, iron-on vinyl, cotton fabric, fleece, denim, and many more, even thicker fabrics, leather, foil, interfacing, and felt. With the new rotary blade, the Maker cuts with precision and without the need for a fabric backing. Game changer! 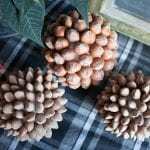 Just imagine the time it will save in cutting out things like our ocean life no-sew felt ornament patterns. For a full list of materials that the Maker can cut, check out this link. Cricut has partnered with Simplicity, a well known sewing pattern company as well as Blake Riley to provide patterns within the Design Space app. Having used fashion Simplicity patterns virtually all my life, I can’t wait to see how it works the Maker. Paper crafting is one of our first crafting loves. 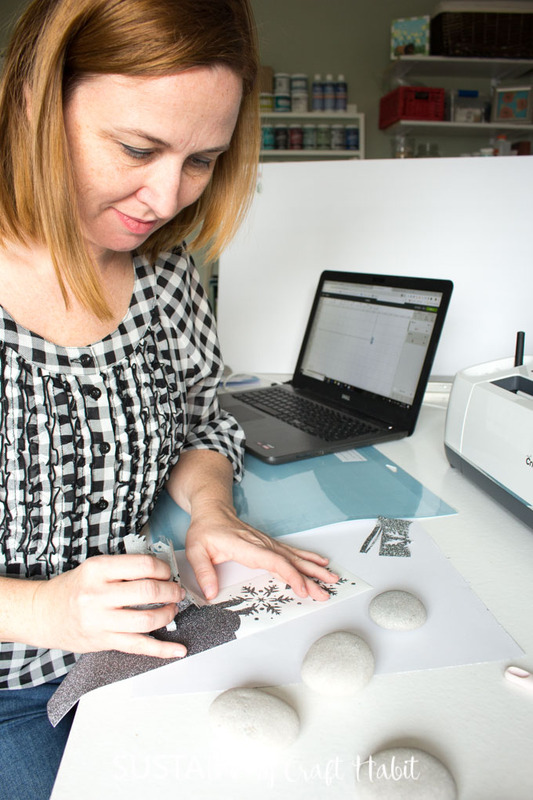 With endless possibilities, this maker will speed up and perfect greeting cards, birthday cards, gift tags, cupcake toppers, party invitations, paper banners and much, much more! With so many different types of vinyl options from iron-on to removable that all come in a wide array of colors, textures, and patterns, the possibilities really do seem endless. Using a special cutting blade, the maker is able to cut through soft wood such as balsa! Design Space is a companion app that lets you design and cut with the Cricut Maker machine. It’s cloud based and synced with all your devices allowing you access from literally anywhere. Within the app, you can find free projects in the Cricut Access Library to choose from or options to buy premium individual patterns or monthly and yearly subscriptions as well. The patterns are multi-purpose so you can simply adjust the settings to use with any media of your choosing. The Cricut Maker was heavier than we expected it to be (lots of important parts in there!). Just make sure to set it up on a stable, safe surface so it doesn’t fall on your toes or a child. It does require quite a bit of space to properly set up the machine. It’s advised to have at least 10 inches clear in front and behind the machine for optimal use. And if you’re using your laptop to connect, you’ll need extra space for it. 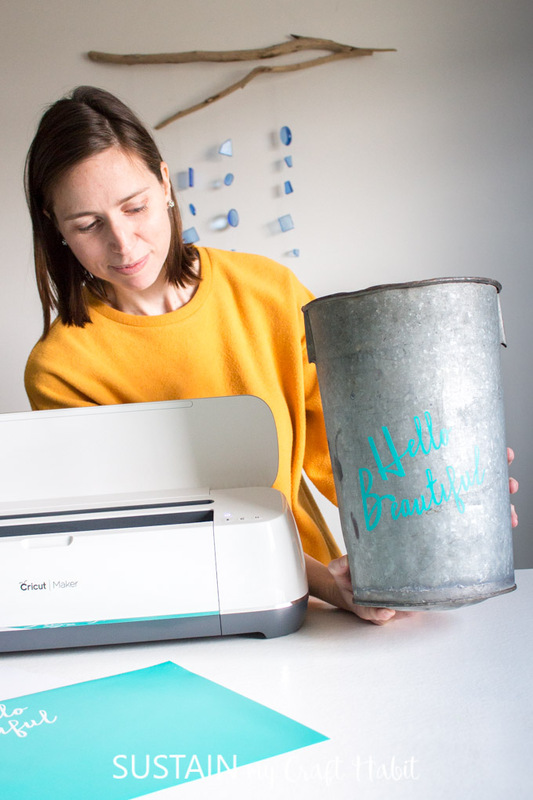 Although setting up the machine was super-simple we had spent a bit of time before-hand going through the handy tutorials on the Cricut site to learn a bit about how Design Space and the machine work. The vinyl and extra tools you see here are not included in the Cricut Maker box, although you can find some great bundles on sale. 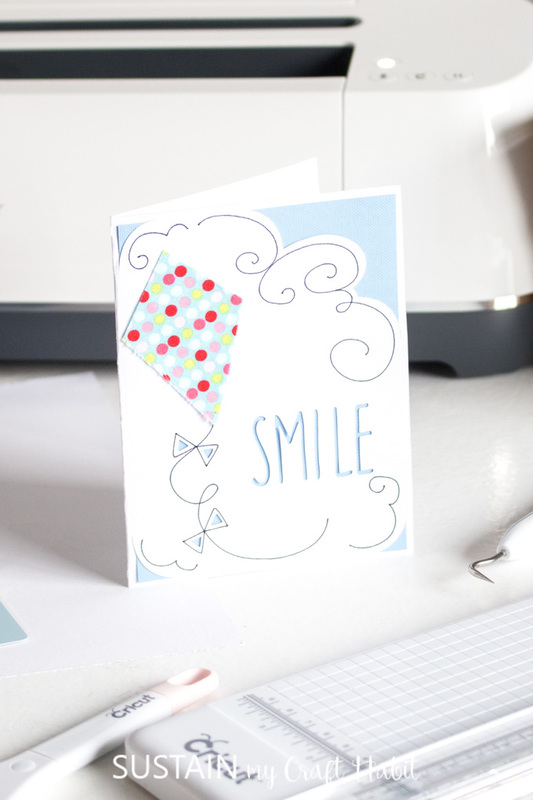 An adorable greeting card using the paper and cotton fabric scrap provided within the Cricut Maker box. Added “hello beautiful” lettering to a vintage maple syrup bucket (which I use to hold crafting paper) with removable vinyl. We grabbed this freebie from a Design Space project called Hello Beautiful Notebook. 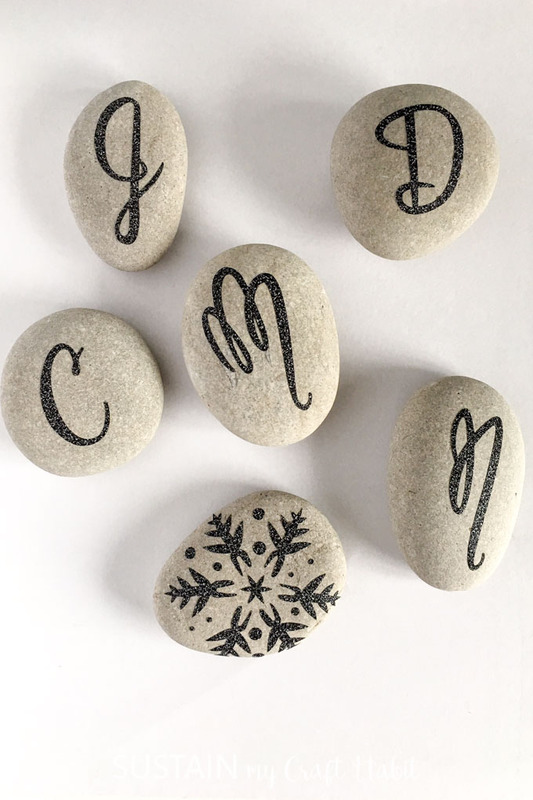 Winter-themed monogram rocks using glitter vinyl which we were inspired by another freebie project on Design Space called Monogram Ornaments. We’ll be sharing the how-to instructions for this project very soon. It was exciting to see these items come together with just a few clicks here and there. Most impressive was how quickly we made the note card! We’re pretty certain we’ll never need to purchase another greeting card again! Although we ended up folding the card in half, there is also a Cricut® Tools Scoring Stylus to use instead that will make a professional folded edge. Our Canadian friends will all be happy to learn that Cricut is currently in Michaels in Canada, and coming soon to WalMart and Costco. 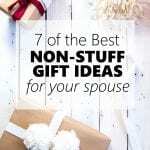 Or shop directly from Cricut.com (you can sometimes snag free shipping to Canada even!). The next step will be to create and upload our own designs to use with the Cricut Maker. So Jane, when’s our next create with Cricut date? 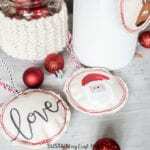 Previous Post: « Sewing Christmas Ornaments with Canvas Etc. We wish you lived closer to us so we could all get together for a Cricut date!